AGEXPORT’S Miscellaneous Manufactured Products Commission expects to reach a 3% increase on exports of miscellaneous manufactures on 2019, as the commission plans to focus on key strategic pillars like: regulatory framework, market intelligence and development of new products, business opportunities for suppliers of raw materials, business opportunities for finished goods, as well as representativeness on national and international forums and expediting export processes. For 2019, we have established specific actions to boost exports of products like pharmaceuticals, footwear, rubber, chemicals and agrochemicals, printed materials, packaging, metalworking, construction products, personal hygiene products, napkins, diapers, among others; said Mrs. Evelyn Gutierrez, coordinator of AGEXPORT’s Miscellaneous Manufactured Products Commission. 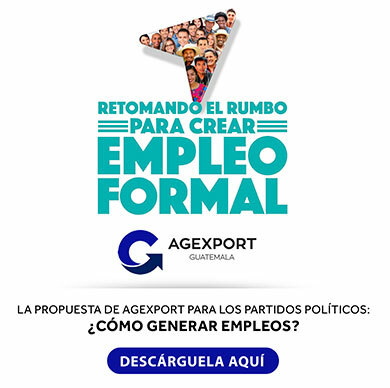 The Commission plans to organize events throughout the year to train businessmen and women on national regulations to export to new markets, publish documents with market trends, new niches and new products; organize the INNOVACCION Forum 2019; as well as organize networking activities and special training sessions for companies that sell specific manufactured products tailor-made for hotels and restaurants.